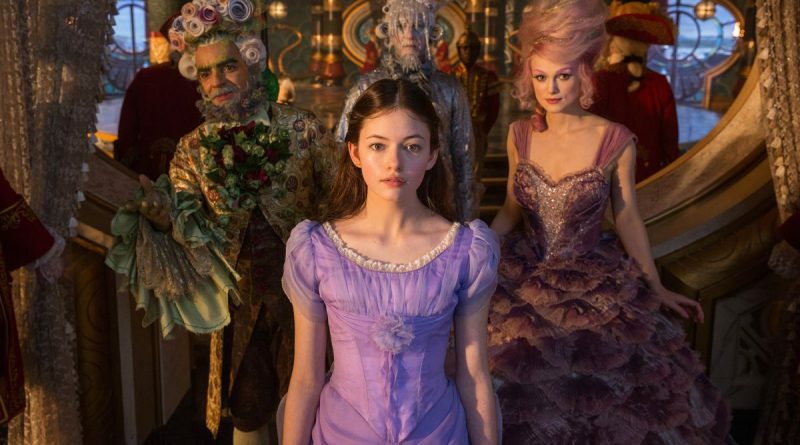 The Nutcracker and the Four Realms combines fantasies. The latest Disney extravaganza is fantastic — literally. The ballet most people know by Marius Petipa is based on a short story called The Nutcracker and the Mouse King, written by E.T.A. Hoffman. Both fantasies. Ashleigh Powell wrote a screenplay to expand those flights of fancy. Disney’s big-budget attempt to adapt E.T.A. Hoffmann’s 1816 fantasy and Tchaikovsky’s ballet is a muddled mess, comparable to A Wrinkle in Time. In Victorian London, the story begins with inventive young Clara Stahlbaum (Mackenzie Foy) in the attic demonstrating her elaborate Rube Goldberg-type mousetrap to her younger brother Fritz (Tom Sweet). 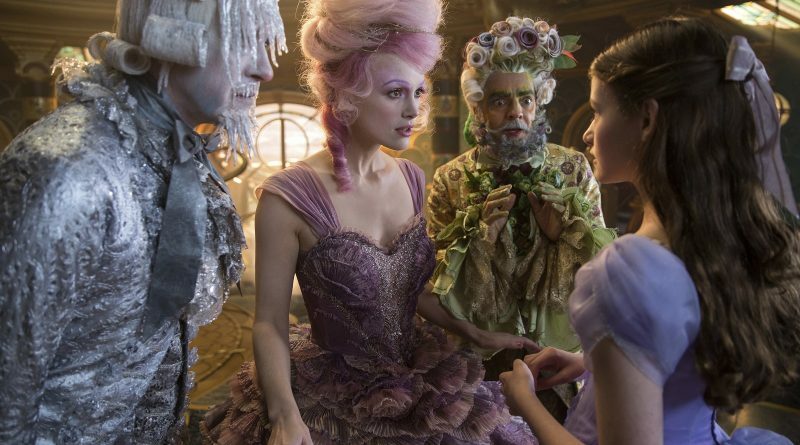 Like recent Disney live-action adventures like 2013’s Oz the Great and Powerful and this year’s A Wrinkle in Time, The Nutcracker is visually gorgeous and entertaining enough, with some interesting approaches to adapting familiar material, but the results don’t quite cook up as well as you’d like, especially considering the first-rate ingredients.